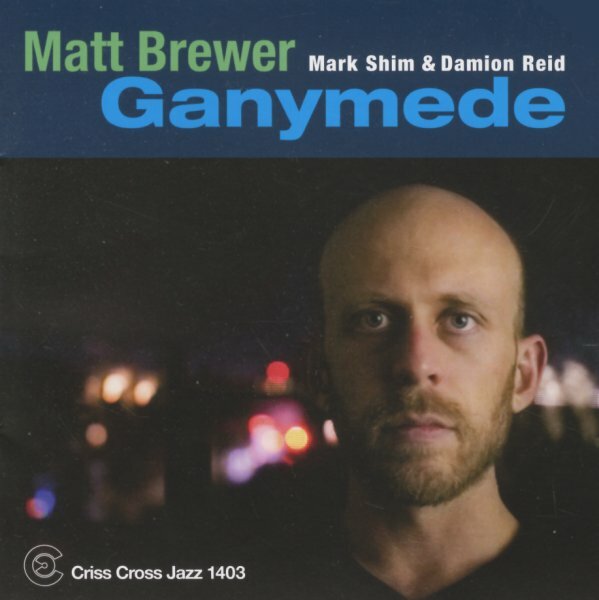 An album of brooding intensity from bassist Matt Brewer – a trio date that takes very special advantage of the tenor saxophone voice of Mark Shim! Shim's very much at home here – blowing these long, complex solos that have that sort of deep burning quality of his early work as a leader – free, but not in a free jazz sort of way – really covering a lot of space, in ways that are almost circular at times – as if he's slowly trying to plot out a new universe in jazz! Drummer Damon Reid matches the intensity of Shim in a great way – so much so that we're almost tempted to say that Brewer is the quietest partner on the date – save for the fact that his deep tones on bass have this low rumble that really sets the tone for the moodiness of the tenor. Titles include "Triton", "Ganymede", "Don't Wake The Violent Baby", "Afro Centric", "IO", "Psalm", and "Willisee". © 1996-2019, Dusty Groove, Inc.